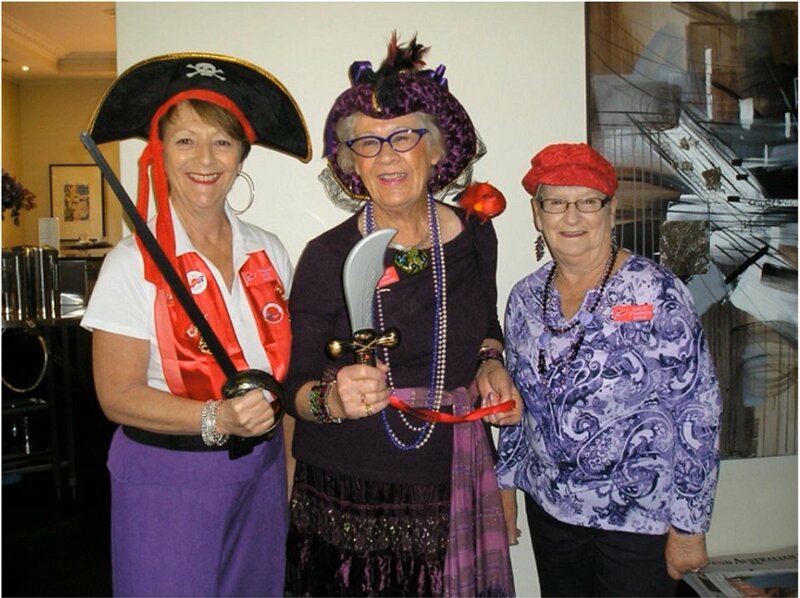 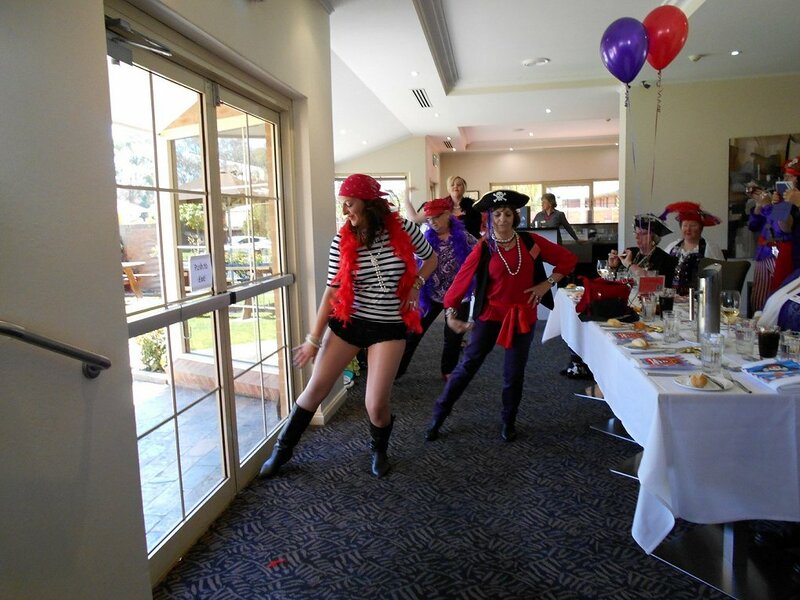 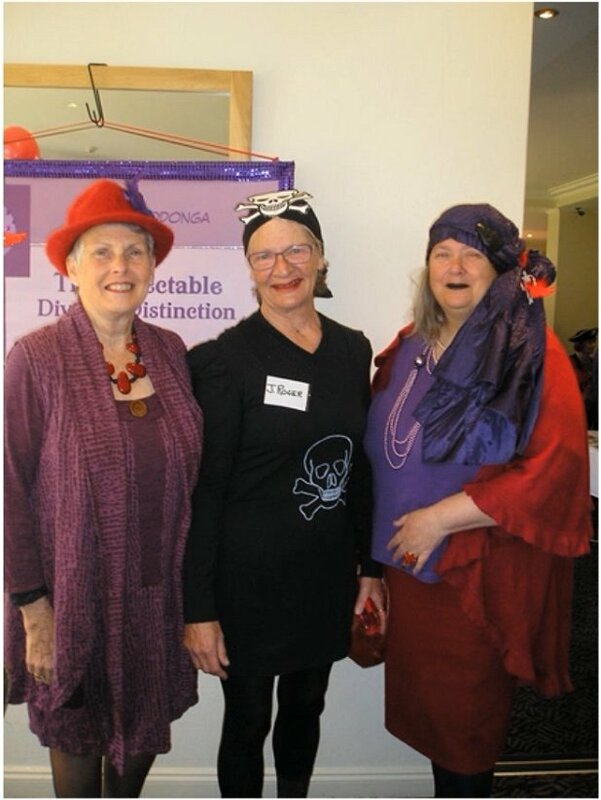 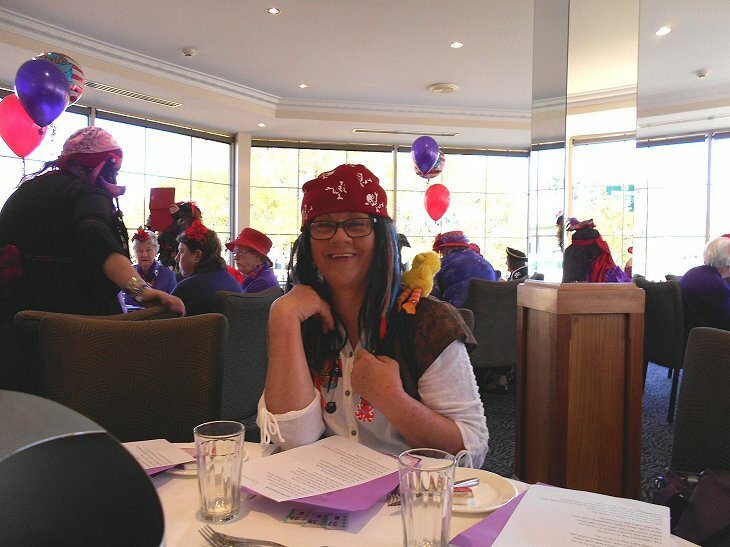 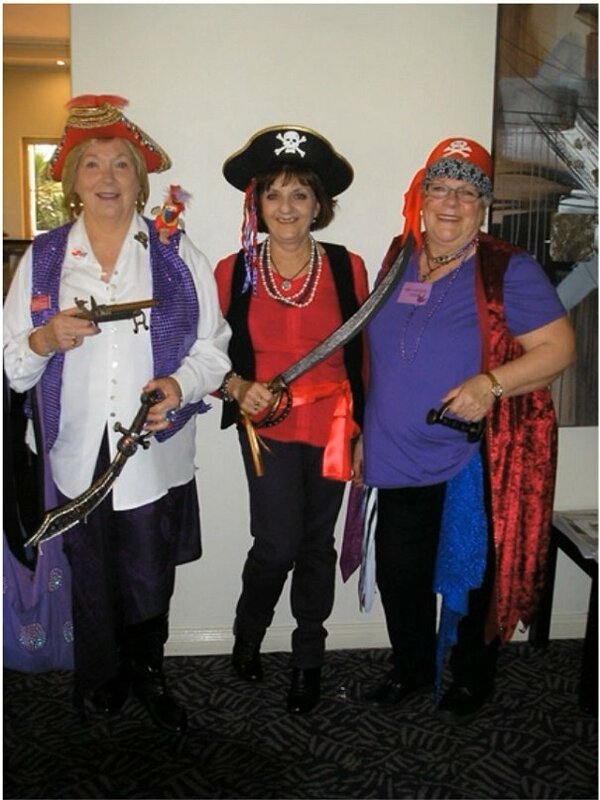 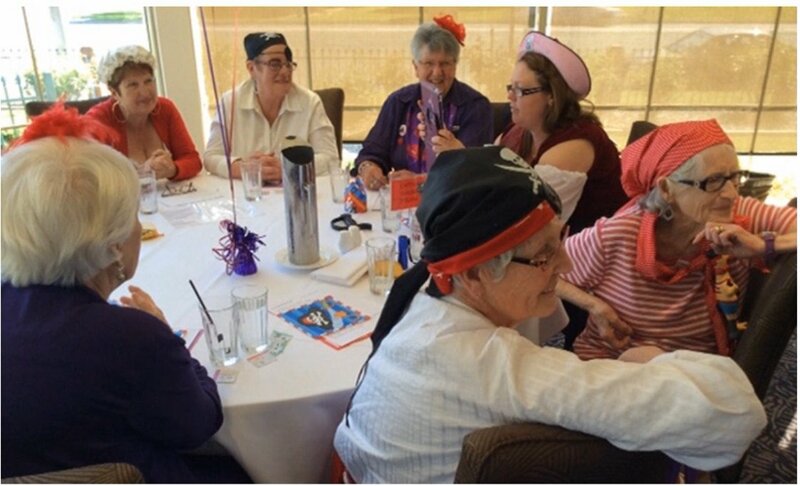 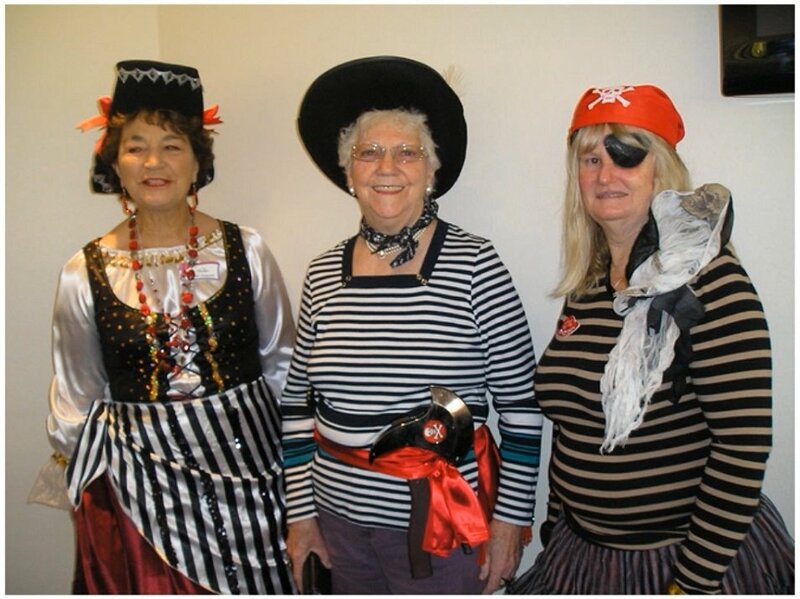 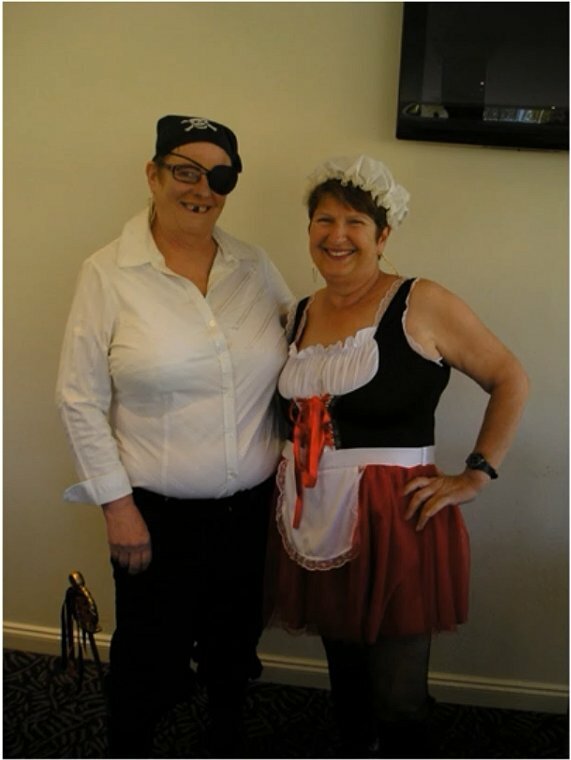 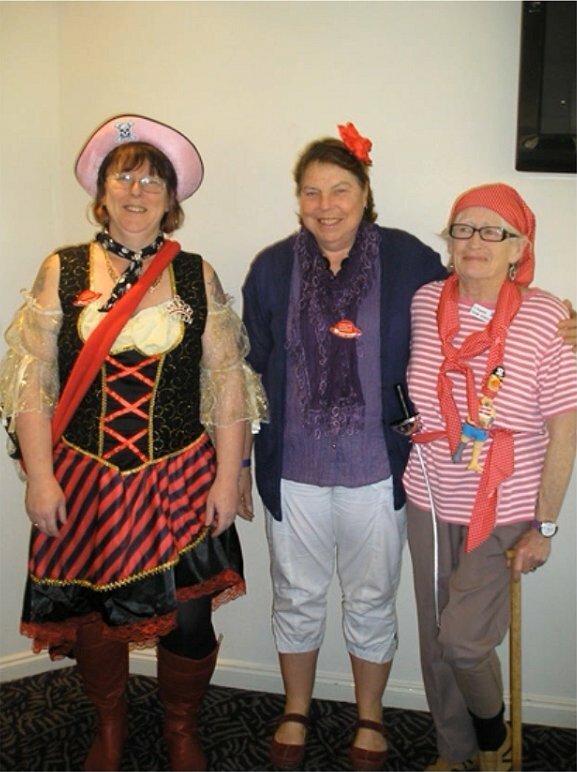 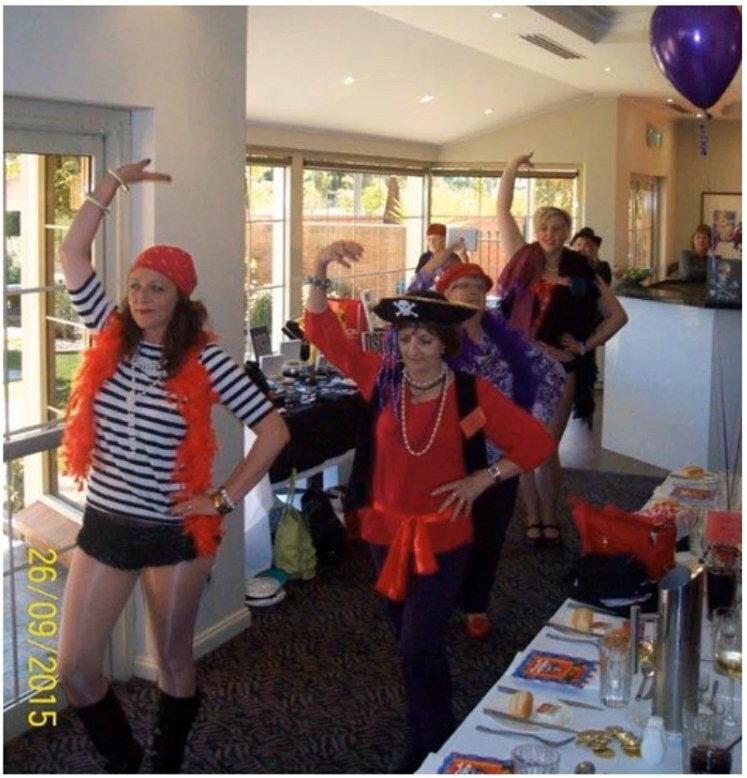 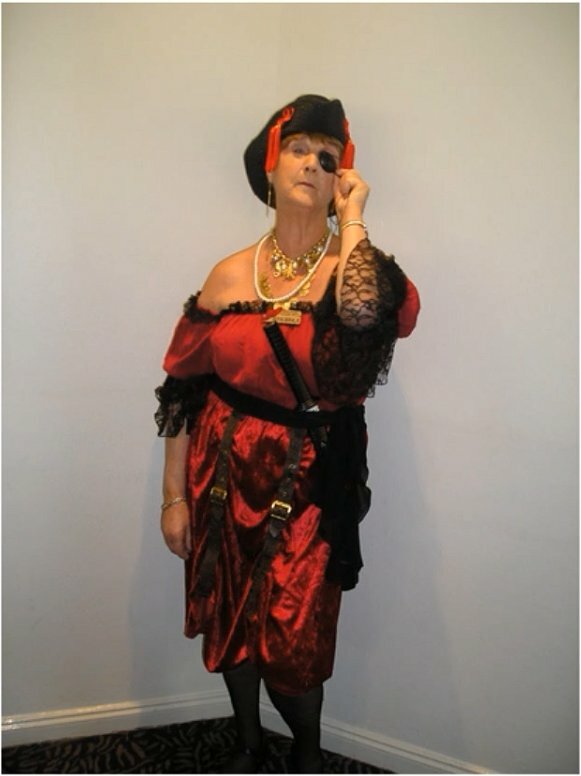 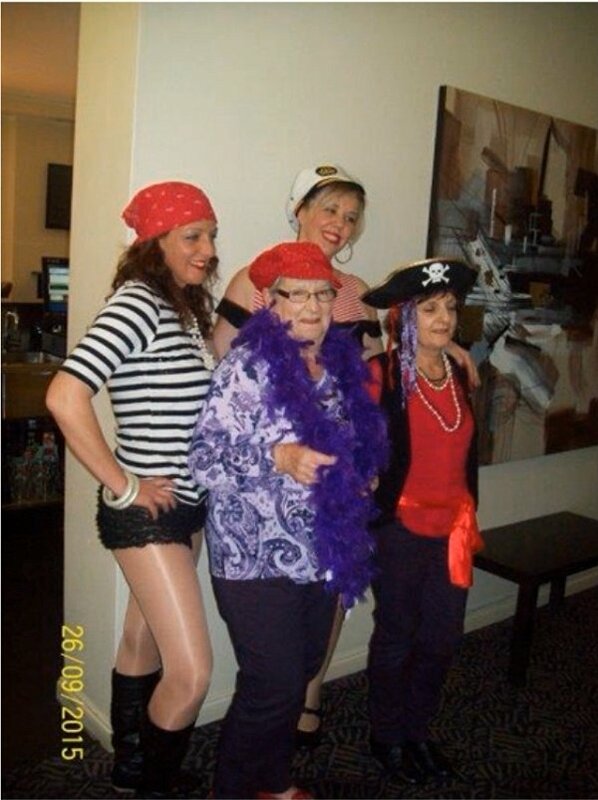 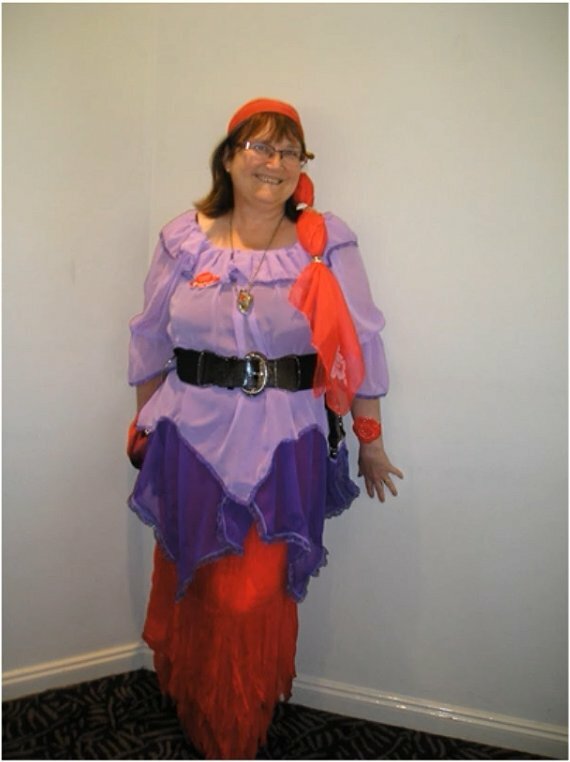 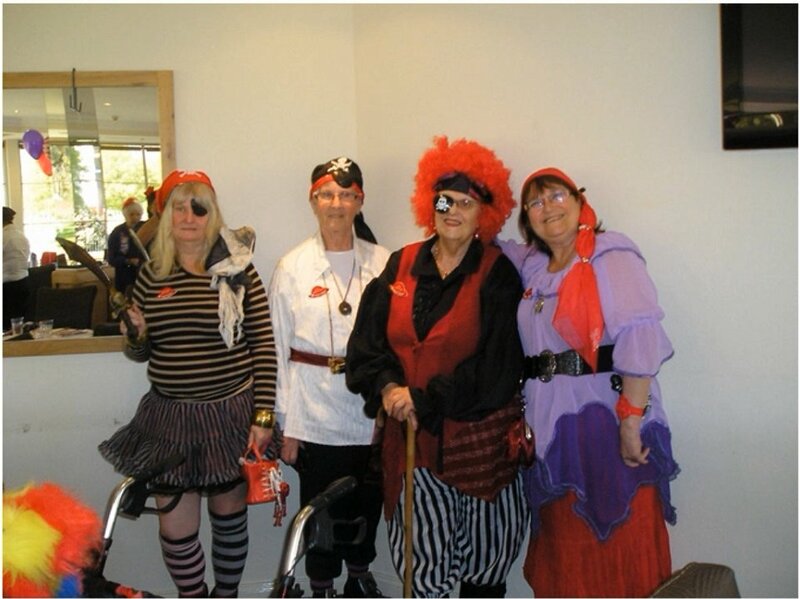 The last weekend in September saw over 60 Red Hat Ladies attend a celebration TALK LIKE A PIRATE lunch at the beautiful Hovell (Hume and Hovell) Tree Inn at Albury. 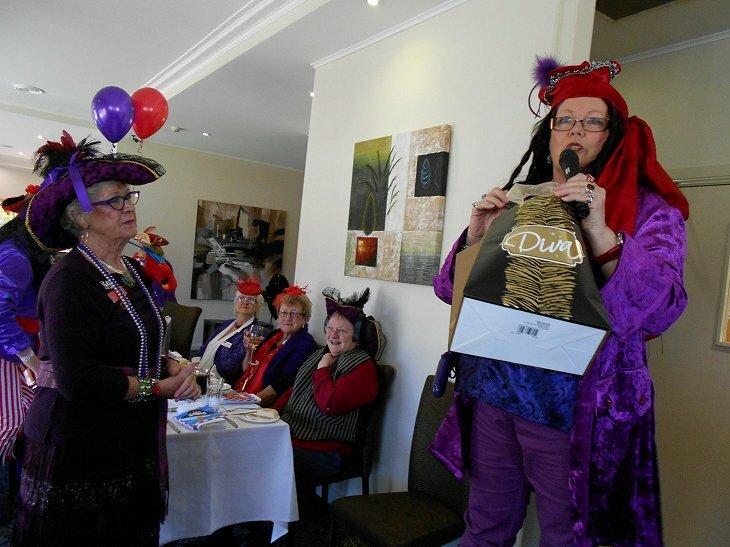 The occasion was the 10th Anniversary as a Queen, for Diva Queen Dianne of Decorum. 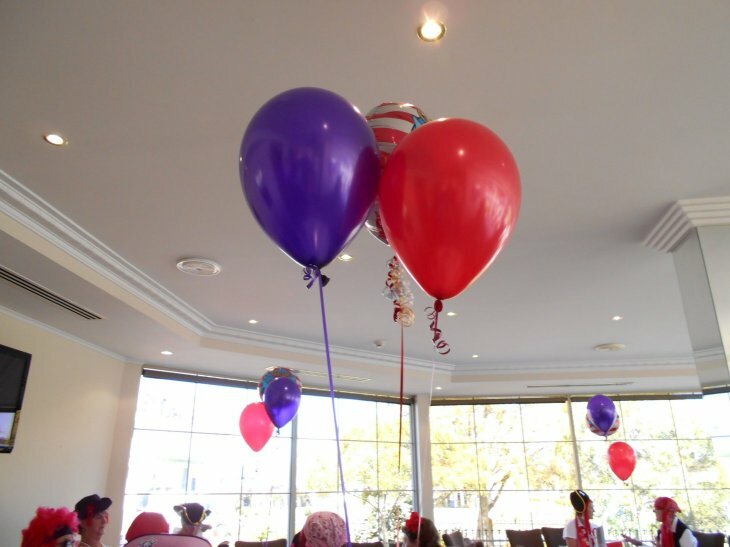 The assistance from this Venue was definitely part of the success of the day. 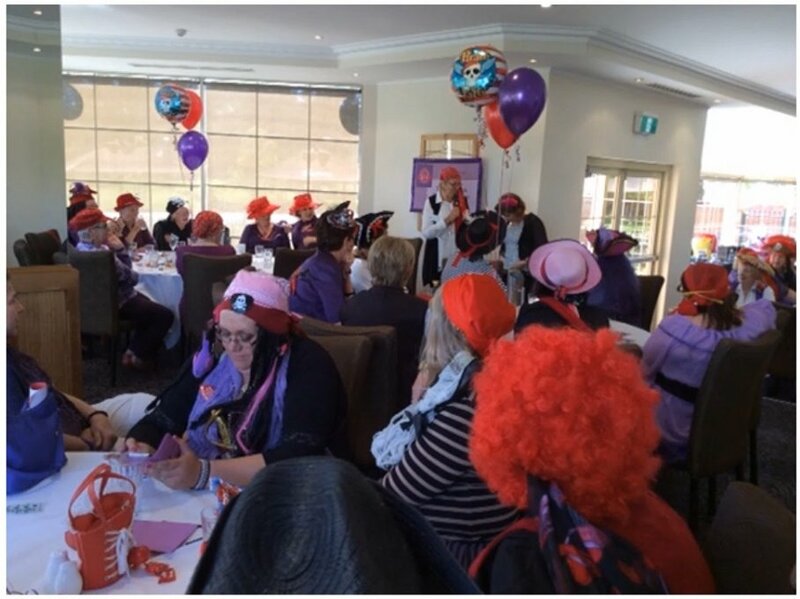 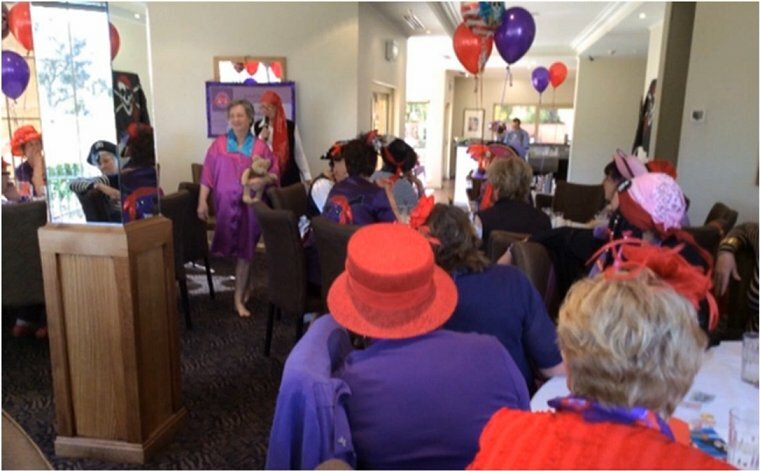 10 years ago, the closest Chapters to Albury were in Canberra and Melbourne, a bit too far to join in their fun, so Dianne started a Chapter in Albury, calling it The Purple Power Surge Girls. 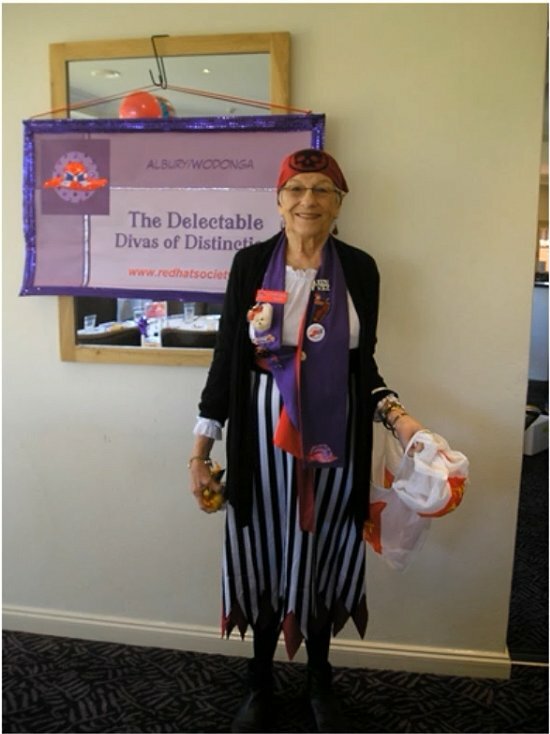 Four years ago she handed over her Queenly reins with this Chapter and started another Chapter, calling this one The Delectable Divas of Distinction. 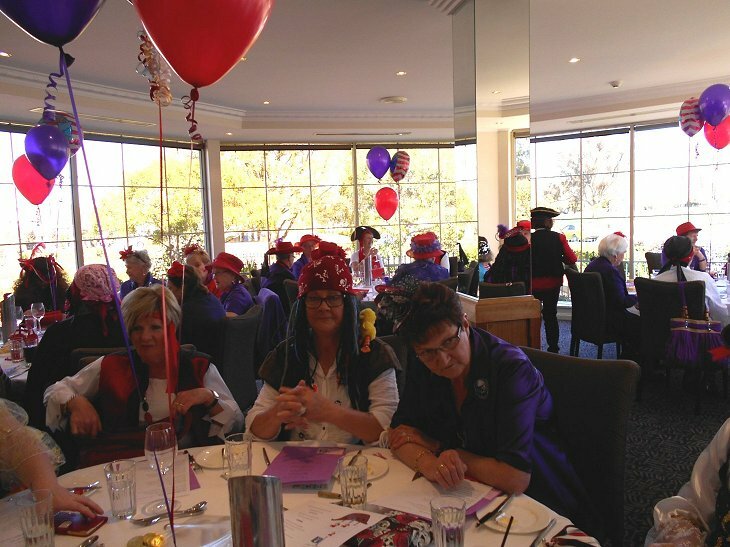 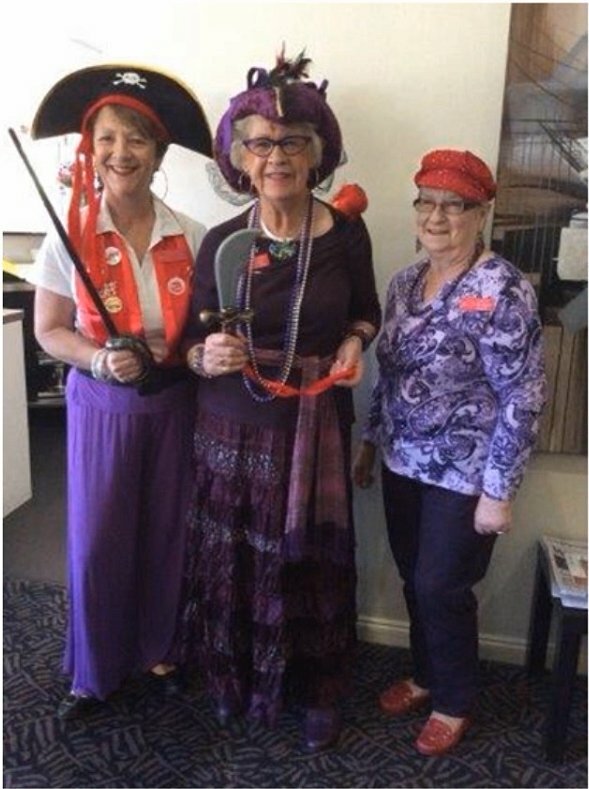 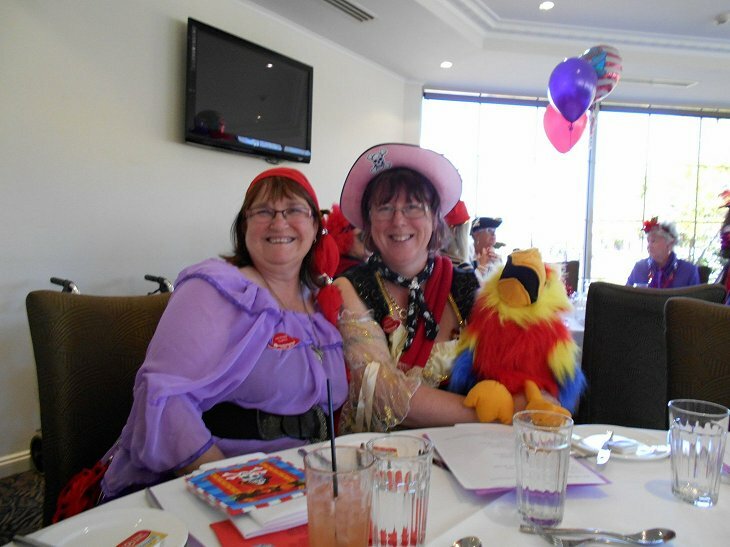 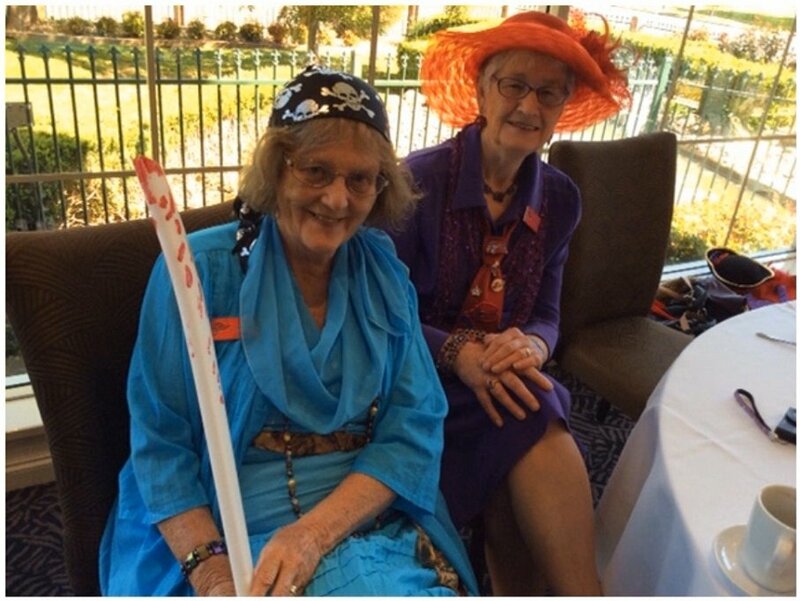 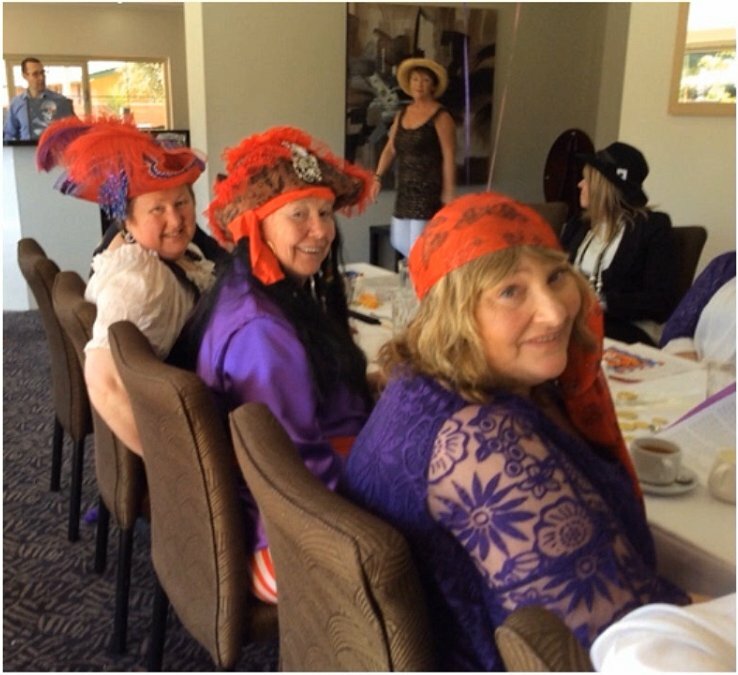 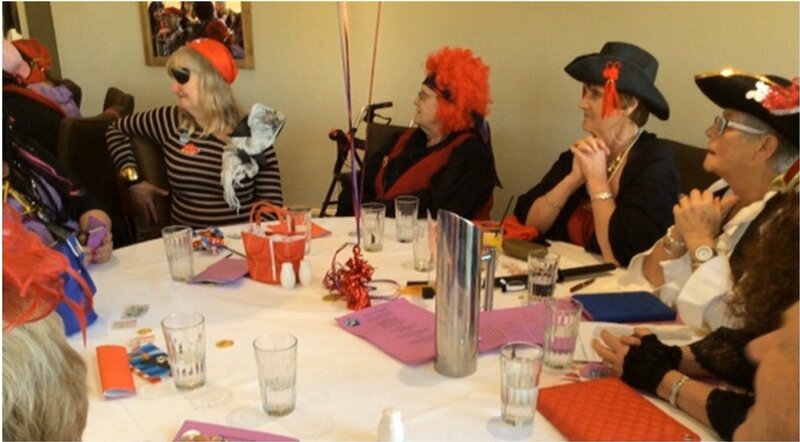 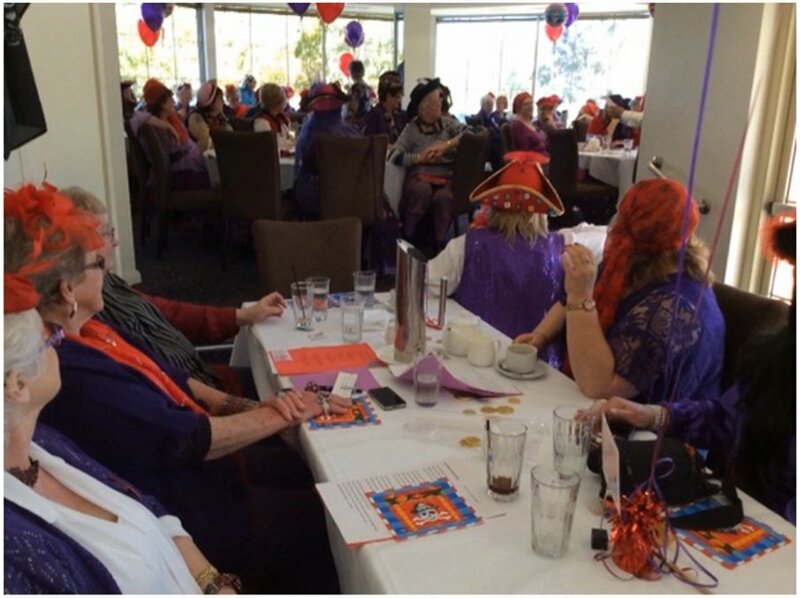 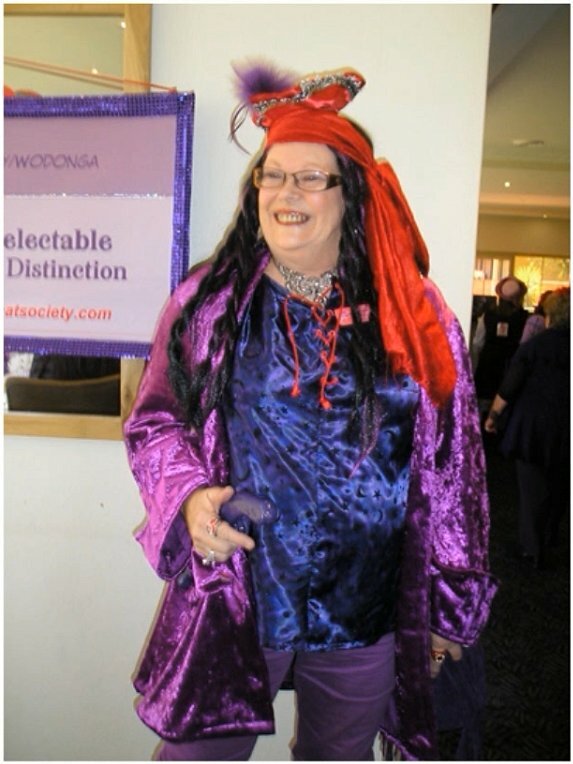 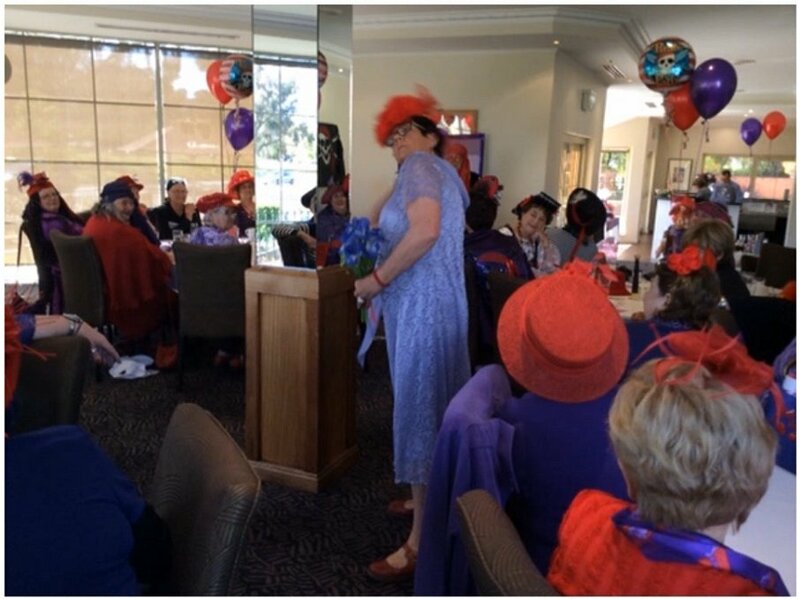 There were Red Hatters at the Pirate Lunch from Albury, Wodonga, Wagga Wagga, Tumbarumba, Bacchus Marsh, Mt Eliza, Rowville, Ferntree Gully and Beechworth. 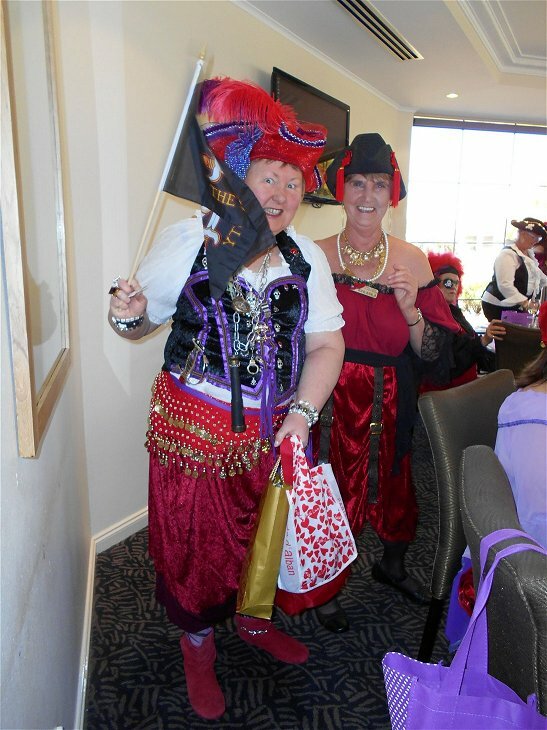 There were some absolutely outstanding Pirates and Wenches, making the choosing of Best Themed Lady very difficult for our two Judges. 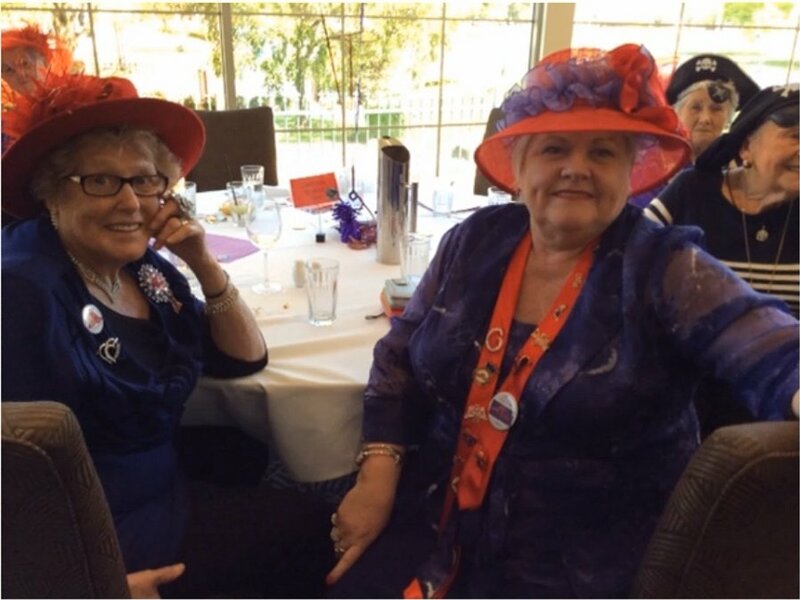 Our two Winners were Queen Vivienne from Down Under Scarlett Belles and Queen Obsidian from Millinery Madames, Ferntree Gully. 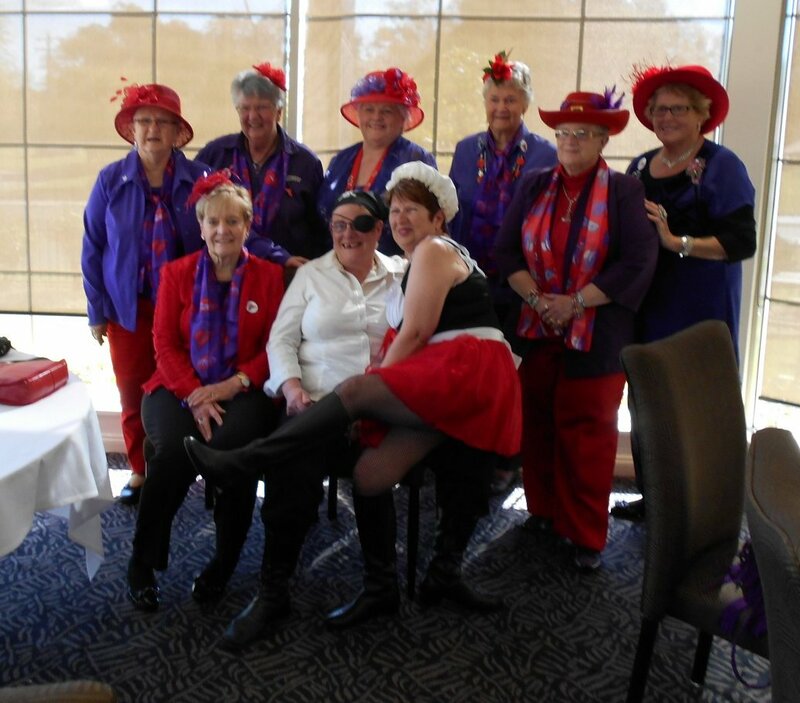 The Lunch opened with goods for sale from DSD Jewellery and Bling Ties from Glenda Cakeabella, then our sensational Burlesque dancers shook their booty and wowed us all with their great dancing. 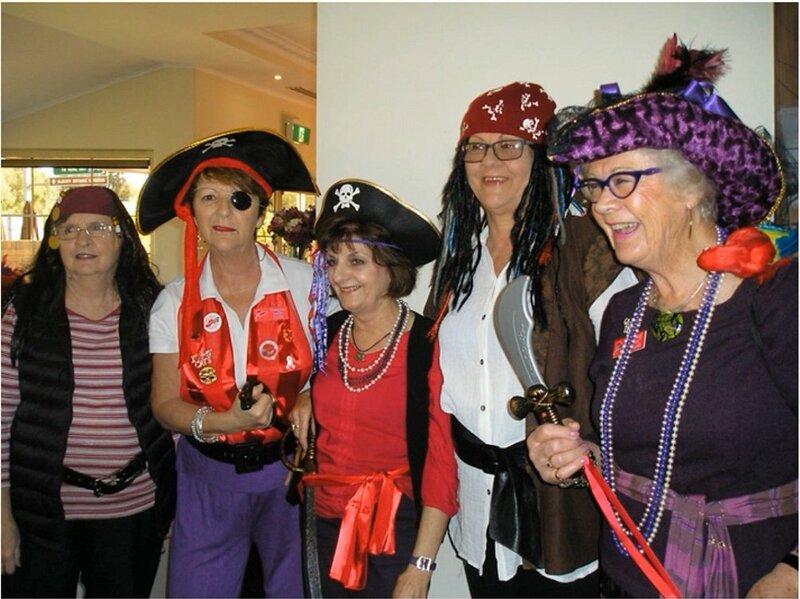 We all sang Pirate songs, with much gusto I must say, and after a perfect lunch, with no calories in the desserts…..
We held a Fashion Parade with 4 of our Delectable Divas acting as models. 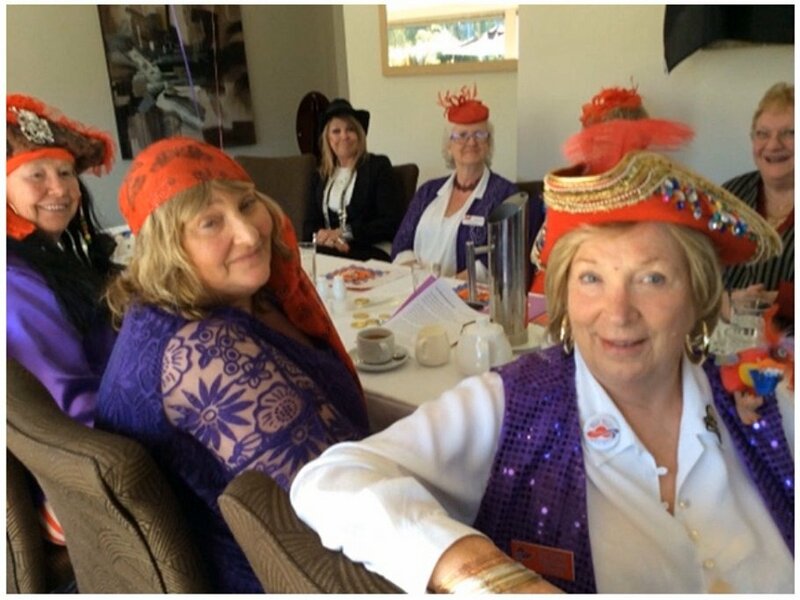 The garments were all from popular local Op Shops, and most of them sold straight after the Parade. 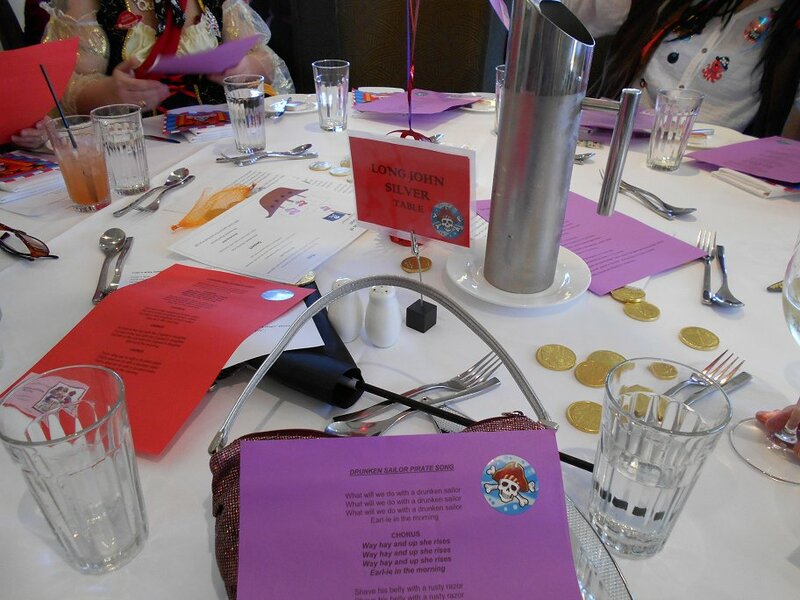 The gold coin Pirate booty chockies on the tables were gobbled up by all and any chocky on the face wiped away with the Pirate napkins. 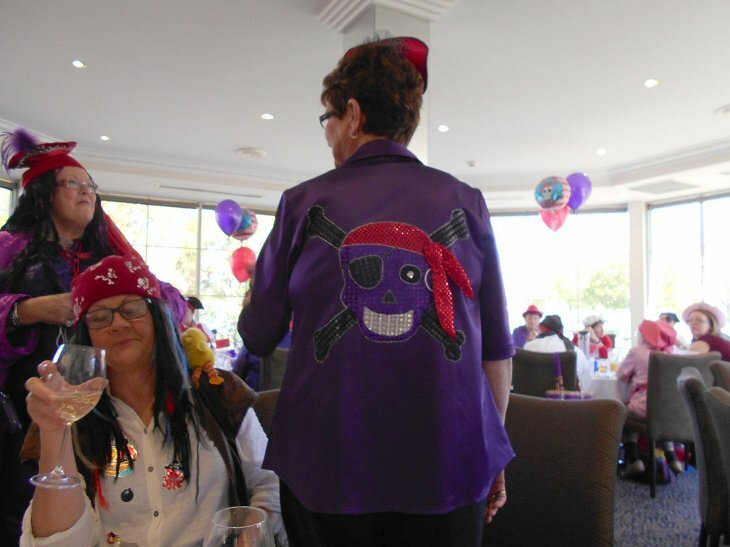 Our Pirate balloons all went home with different Red Hatters. 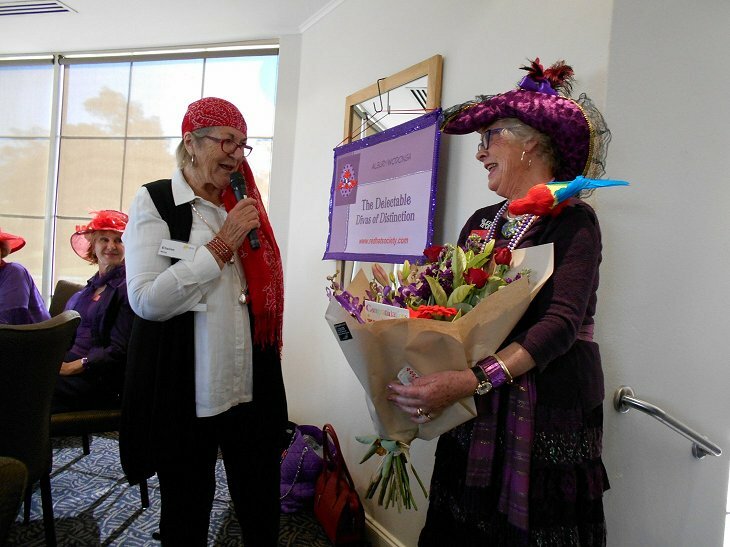 Every Delectable Diva was involved in the planning of this Event, they really do all deserve medals. 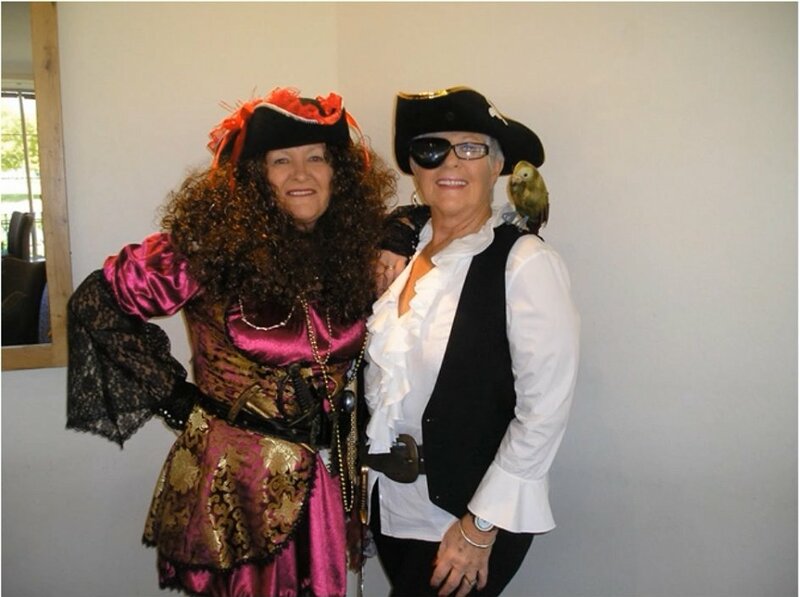 We will definitely do this again next year, as International Talk Like A Pirate Day always happens during September.